I’m a big believer in the power of pop-in-the-oven pizza. My family loves it because it’s delicious and I love it because it’s easy. But as easy as those meals may be, I do sometimes feel a little guilty about how effortless it is (I’m lying, I don’t feel guilty), which is why I like to add a little something extra to pizza nights by making a fun side dish to go with the main course. That’s exactly what I did recently when I made my famously simple Easy Garlic Parmesan Knots to go with some Freschetta pizza. The garlic knots are made with just three ingredients: ready-made buttermilk biscuit dough, butter, and parmesan cheese (along with some seasonings). Wait, is that it? Yep, that’s it! But first, the pizza. That’s the most important part! 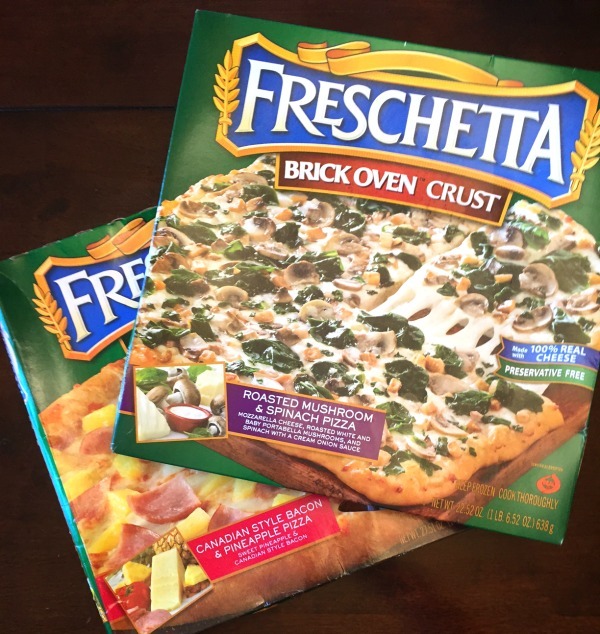 Of all the pizza brands (and there are many) my family is the biggest fan of Freschetta. My husband likes Freschetta’s Brick Oven Crust options and I’m a fan of the Naturally Rising Crust. 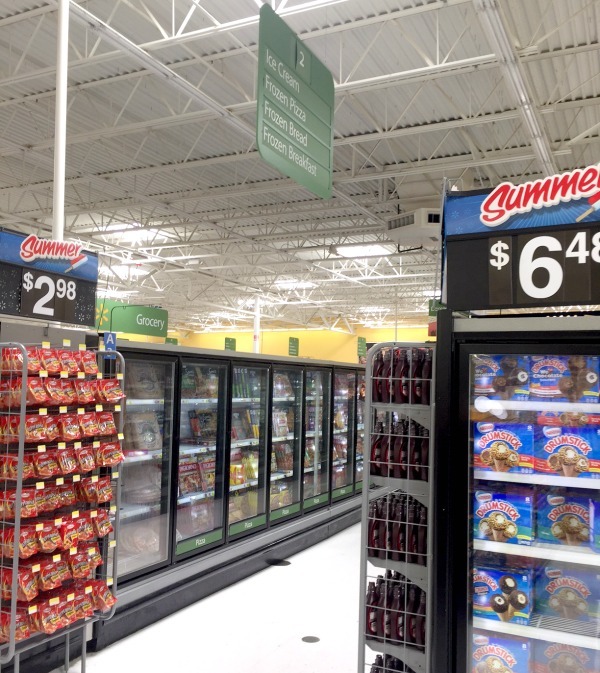 You can get both at most grocery stores, but I got mine at Walmart. You’ll find it – where else? – in the pizza aisle. What’s not to love about Freschetta pizza? 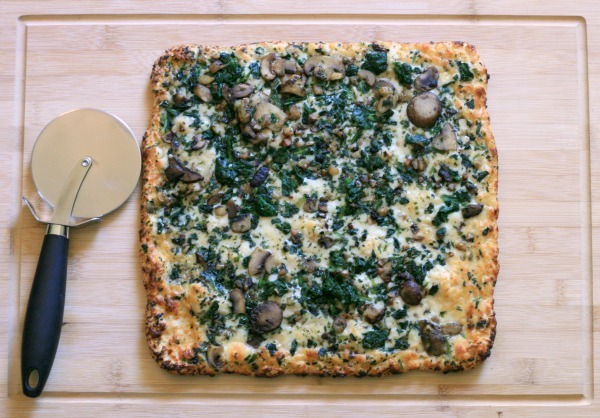 It’s made with high quality ingredients with a crust that rises naturally with no artificial leaveners. The sauce is made with sun-ripened tomatoes and it’s topped with real provolone and mozzarella cheese, which is good because your life deserves real taste. And we can use a little more realness in our lives now and then. Real people, real experiences, and real things. You should feel good about what you’re serving to your family, and Freschetta brings that authenticity to the table. Speaking of feel good about what you’re serving, here’s how to make those Easy Garlic Parmesan Knots. Start by rolling out your pre-made buttermilk bisquits into 10-12 inch ropes. Allow the ropes to relax while you preheat the oven and mix up the garlic butter. If they start to shrink up, give them a little help by gently pressing each end into the baking sheet. Next, combine 3 tablespoons of melted butter and half a teaspoon of dried oregano and dried parsley flakes, and 1 tsp of garlic powder in a small bowl. If you’re craving a little spice, sprinkled on some crushed red pepper, too. Next, tie the ropes into knots and place them on an ungreased baking sheet. Then brush each knot with the yummy butter mixture and sprinkle Parmesan cheese over each garlic knot. You will need about 2 tbsp total of Parmesan to do this. 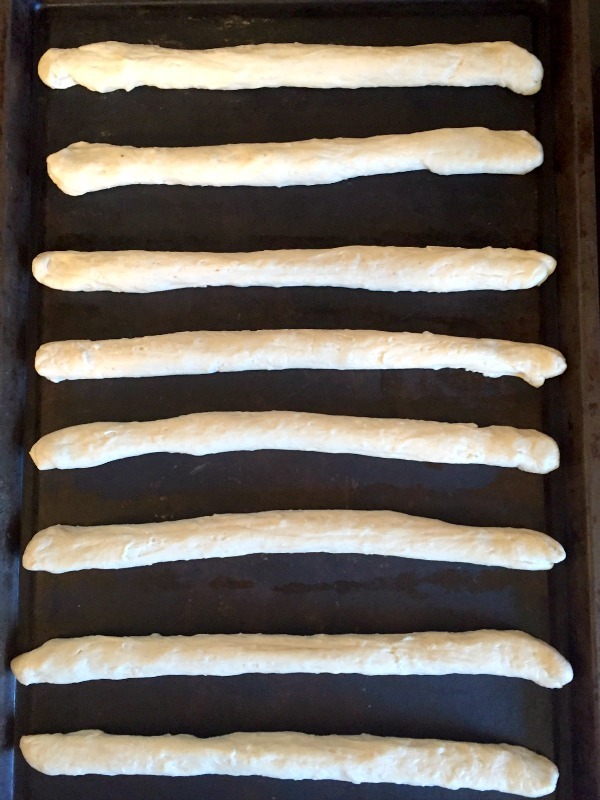 Pop the knots in a 350 degree oven for 12-15 minutes. After they’re done and golden brown, brush the warm knots with another tbsp of melted butter. 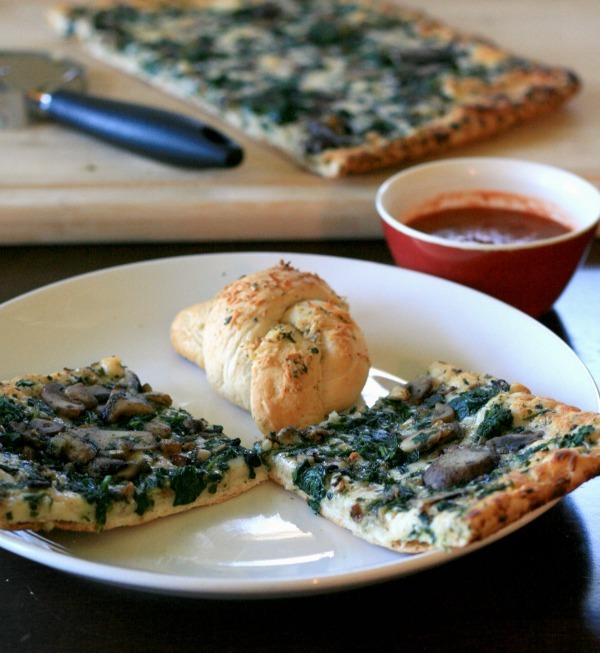 They’re good enough to eat just like that, but feel free to serve them with some marinara dipping sauce like I did in the picture below along with some Freschetta Brick Oven Crust Roasted Mushroom and Spinach pizza. 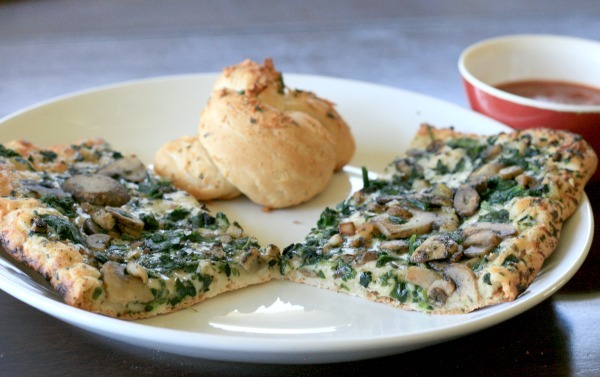 Check out the Freschetta website for more pizza night inspiration. Also fell free to follow Freschetta on Facebook or Twitter for more pizza fun and deliciousness! My mouth is watering! Those knots look amazing! Ooooh, I need to try those garlic parm knots! They sound super yum!! It’s really delicious stuff and I’d love this flavor. I usually don’t get mushroom anything because of my family but I love them!!! 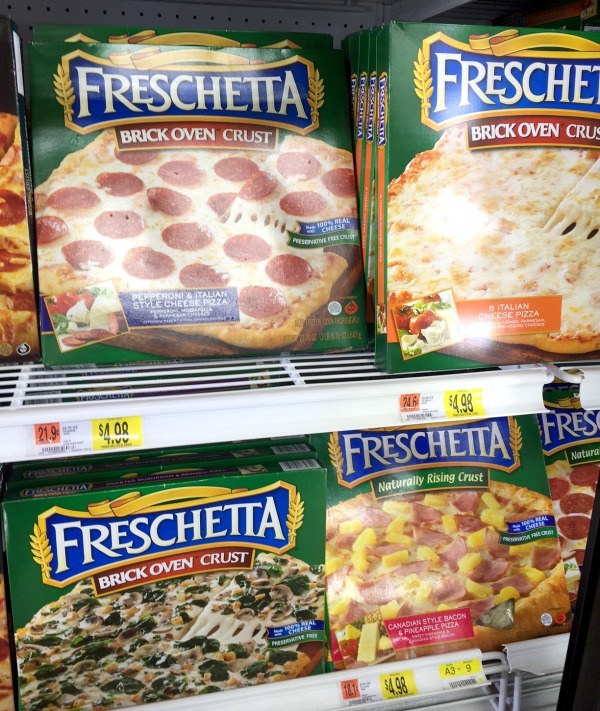 Freschetta makes the best frozen pizza. 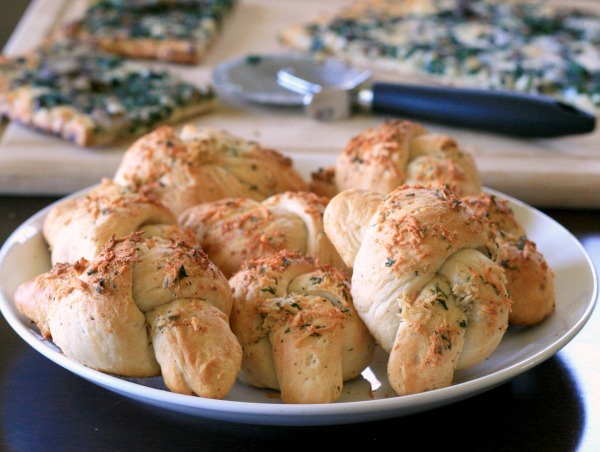 I never thought about how easy it would be to make my own garlic knots! Yum! Looks easy and delicious! My kids would love these! YUM, Those garlic knots look AH-MAZING!!! Perfect for Pizza and Movie night! thanks! Oh wow, this all looks so good! I’ve never had freshetta! I can’t wait to look for it next time I go shopping! Oh those garlic knots look delicious! I would love to add them to the soup we are eating for lunch today! Freschetta has frozen pizza down. They have one of the best tasting I’ve had. Every night is a good night for a pizza night in my family’s book! Haha! Drooling over this!